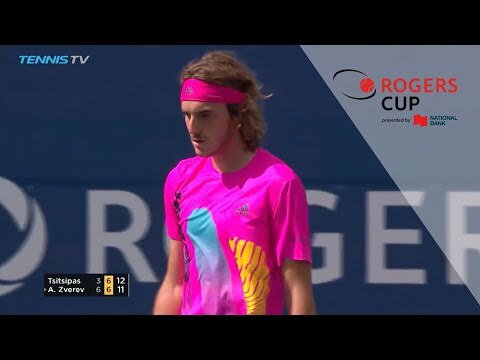 On Sunday afternoon in the final of Rogers Cup presented by National Bank, 20-year-old Alexander Zverev caused the upset when he defeated Roger Federer in two sets (6-3, 6-4). After Washington last week, Montréal is his second consecutive title and his fifth in 2017 (Montpellier, Munich, Rome, Washington and Montréal). He now ties Federer in wins this season and avenges his crushing loss to him in the final in Halle nearly two months ago. For the leader in the Race to Milan for the world’s Top 21-and-under, the title is also his second consecutive Masters 1000 championship. Of the six series events played this season, three players—Federer, Zverev and Nadal—have each won two. Now ranked world no.7 on the ATP Tour, Zverev is determined to end the season in the Top 4. As far as Federer, he failed in his second attempt to raise the winner’s trophy in Montréal after losing to Novak Djokovic in 2007. Still, there are already two Rogers Cup crowns from Toronto in his trophy case. His opponent also ended his 16-match wining streak on the ATP Tour. Without taking anything away from the German’s great win, it must be said that Federer was not at his best. Feeling slight pain in his back, he was unable to hit powerful serves or keep up in the rallies. As the match went on, he seemed less and less able to lean in and hit. He was broken at 1-2 in the first set and then again at 3-4 in the second. He hit only a 51% first-serve percentage and wasted three break points—his only break points of the match—at 1-0 in the second. Feeling sore, Federer declined to comment on his health. Zverev hit 69% wining first serves and six aces. He followed his strategy to fire long balls to stop Federer from hitting early and preparing his attack at the net. True to his initials, Zverev dominated the match from A to Z. Along with the winner’s trophy, he takes home a cheque for US$894 585 (C$1.14M). “It’s incredible. Winning a second Masters and beating Federer. I couldn’t have hoped for better,” said the new Rogers Cup champion.